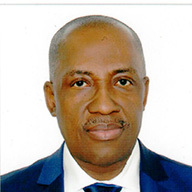 Professor Charles Inyangete is a leading & seasoned Financial Services practitioner with over 20 years proven extensive international expertise and experience in Banking & Finance, Capital Markets development, Financial/Economic Reforms, Financial Innovation, Risk Management Strategies, International Corporate Finance, Investment Banking, Portfolio Management, Privatization & Corporate Restructuring. He served from 2001 to 2008 as an independent Non-Executive Director & Chairman of the Strategy & Risk Management Committee of the Board of Exim Bank and Member of the Working Group for the development of Tanzania’s Mortgage Refinance Facility. He was the founding Executive Chairman of Vertex Financial Services where he spear-headed the merger of Vertex with African Harvest in 1998. He was instrumental in the establishment of Tanzania’s first and only Stock Exchange, and developed the first market index for the Dar es Salaam Stock Exchange (DSE). He led the sponsors for the first regional corporate bond listing on the DSE in 1999 by the East African Development Bank (EADB). Between 1994 and 2000, he was the Professor of Finance and Director of a major European Union Funded Strategic Partnership & Institutional Development Programme for the University of Strathclyde, Glasgow UK at the Institute of Finance & Management Tanzania. He was the Financial Expert monitoring the Management Support Services Contract part of the power sector reforms of Tanzania Electricity Supply Company (TANESCO) from 2004 to 2010. In 2003, Professor Inyangete developed regional benchmarks and a framework for Sovereign Asset and Liability Management for the ten-member Eastern and Southern African States of the Macro Economic & Financial Management Institute (MEFMI). He was also a panel member for developing a national housing and mortgage finance policy for Tanzania and the Chair of the Technical Working Group for the National Mortgage Finance Initiative of the National Social Security Fund (NSSF) which developed a framework for mortgage finance in Tanzania. Professor Inyangete holds a PhD in Finance (1991) for the study of risks, returns, market-making and the structure of the UK Securities market post ‘Big Bang” from the University of Strathclyde, Glasgow, United Kingdom. He has served as external examiner including for Higher Doctorate & Doctorate Degrees and for Professorial Appointments with various Universities in Europe and East Africa. He also has extensive experience of financial management in education and public sector and lectured at universities in three continents – Europe, Africa and North America (USA).